If you've always focused on the minimum payment due for your credit cards, rather than the total balance, you're not alone: many people use their credit cards this way, paying only the minimum (or perhaps a bit more if they think they can afford it that month). In fact, the average American household with a credit card balance owes nearly $10,000, and total revolving debt (which consists mainly of credit card debt) in the U.S. is close to $1 trillion. Having significant credit card debt impacts your credit score, costs you plenty in interest and may prevent you from making large purchases, such as a house or a car. Fortunately, there are strategies you can use to begin paying down your balance, which in turn (eventually) will reduce your average monthly credit card payments. What Are Credit Card Minimum Payments? 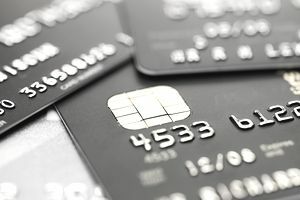 Many U.S. banks require credit card holders to pay 4% of their balance every month (this was increased from 2% of the monthly balance years ago following the financial meltdown in 2007 to 2009). At the time of the increase, this produced some sticker shock (and even worse effects for those who had overextended themselves financially). But in the long run, it was good news for consumers, since they were forced to pay higher monthly minimums. Look at it this way: paying 2% of your balance each month barely covers the interest, and leaves very little to apply to your actual balance. That's why, if you owe $2,000 or more, and you only pay the minimum balance of 2% each month, it will take you approximately 30 years to pay off your balance even if you never charge another penny. By paying 4% every month, you pay enough to cover the interest and have enough left over so you could pay off your balance in 10 to 12 years if you don't add any new charges. It is good because you'll get out of debt sooner and you'll pay a lot less interest over the years (thousands of dollars for many people). As you might gather from the above example, it benefits your finances significantly for you to pay more each month on your credit card debt. That's what you should try to do. Now, this isn't easy, and many people get discouraged when they take a close look at their finances, especially if they're stretched thin. But you don't have to boost your payments by hundreds of dollars each month — putting just a little bit of extra money toward a credit card balance can add up surprisingly quickly. Go through your credit cards (most people have more than one with a balance) and determine which one carries the highest interest rate. Focus on that one. Determine how much extra you can afford to pay on that one card each month, and set it aside. Consider creating an automatic payment so that you're not tempted to use the money for something else. Don't worry about how long it will take you to pay off the card. Just keep making those extra payments, re-evaluating your finances periodically to see if you can afford any extra towards the balance. Pay the minimum payments on the other cards you have. Once you've paid off that card (regardless of how long it took), choose the next card with the highest interest rate, and begin paying that off. Since you've cleared one monthly payment by paying off the first card, this card will be easier. Repeat as necessary until you've cleared all your credit card debt. Also, while you're in the midst of this process, think twice about adding any debt to your credit cards. Consider setting aside one card (hopefully one with no balance on it) for household expenditures, budget for those expenditures, and pay the balance due on that card every month. Do You Know the True Cost Your Credit Cards? Do You Know What 4 Things to Watch Out for on a New Credit Card?